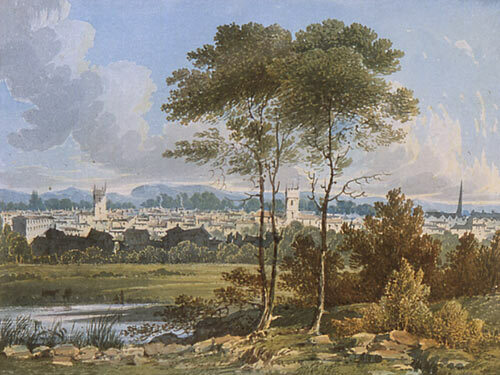 Caption: Distant view of Reading, by George Shepherd, c1819. Shepherd was a highly professional topographic artist. The Museum collection includes a drawing by him of the same view which was subsequently made into an engraving in 1824.